One of the things that Yakko and Wakko’s school PTO does is provide holiday pies to all of the teachers and staff at the school. 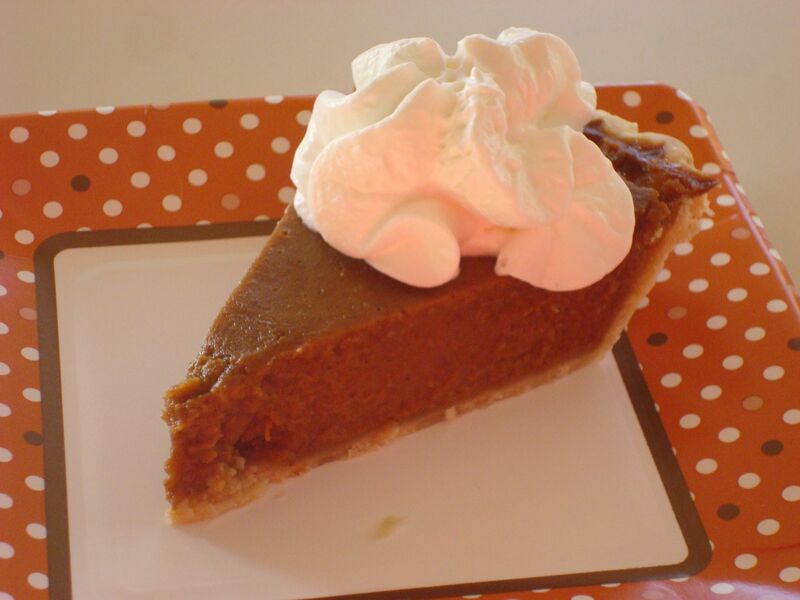 Parents are asked to bring in a pie or a donation for store-bought pies. I happen to enjoy making pumpkin pies. 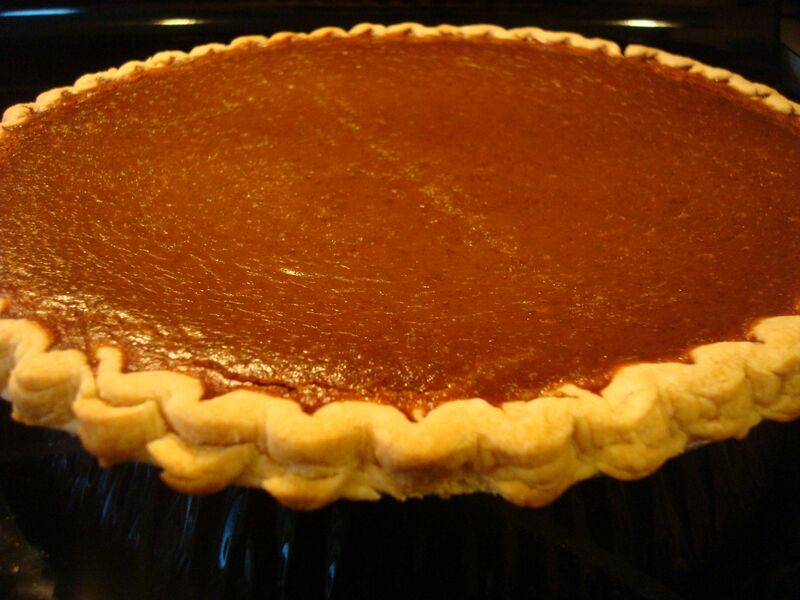 Ever since I was a kid it was my responsibility to make sure we had pumpkin pies for Thanksgiving. This year they were running short so I volunteered to make four pumpkin pies. The recipe I always use makes two pies, so providing four for school really isn’t that big of a stretch. I like to think they taste better than the average store-bought version, but no matter. It’s something I can do with Yakko and Wakko for their teachers. Bake at 425 degrees for 15 minutes. Then bake at 350 degrees for 45 minutes. 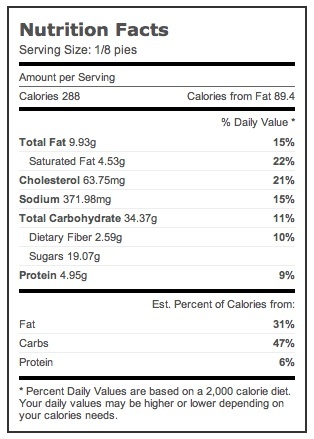 Using the Livestrong.com website, I entered the details of the recipe and it calculated this nutritional information (for those that are curious).